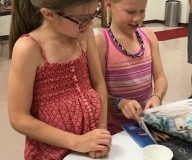 The Vacation Bible School (VBS) theme for 2015 was “The Armor of God.” Throughout the week there were services, crafts, activities, and games that reinforced the Christian themes found throughout St. Paul’s epistle to the Ephesians. 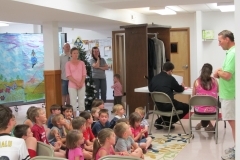 VBS was conducted June 15-19, 2015 from 5:15 p.m. until 8 p.m. for children entering Pre-K (one year before enrolling in Kindergarten) through the sixth grade in the fall. Each day began with dinner. 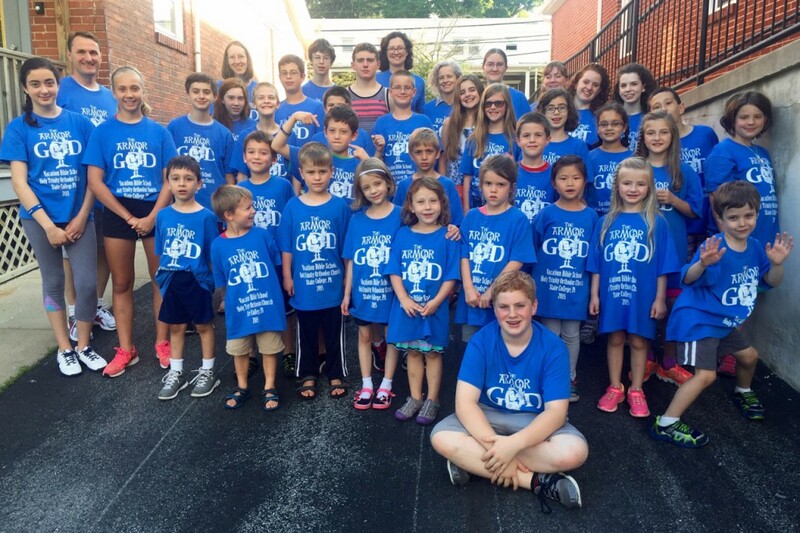 Parents also attended Daily Vespers and pray with their children on the Wednesday of VBS week, beginning at the special time at 5 p.m. In the next few days the newest Avengers super-hero movie will be released and anticipation is growing for fans everywhere—including my sons. Now, I admit that I have watched a few of the movies in this series (Captain America is my favorite). What is most captivating in these stories is that the heroes are just “regular” people who have been given a dose of extraordinary courage to face all types of danger and peril. To give them confidence to carry out their good deeds they put on a “hero” suit. St. Paul talks about putting on a suit—in his words, it is the “suit of armor.” He instructs us to, “…put on the whole armor of God, that you may be able to stand against the wiles of the devil.” (Ephesians 6:10) In general, armor refers to the weapons or instruments of war. Specifically in Christianity it means prepared-ness to fight against sin and the flesh and most certainly the devil, our archenemy. Paul wants us to win battles with a better kind of warfare, telling us the specific articles we are to put on: First there is the belt of truth. It is the bond which holds all together. There must be truth in the inward parts or man is divided against himself. Without truth, the rest is nothing. Next is the breastplate of righteousness. It is the mainstay of protection. Unprotected a person becomes most vulnerable and open to foe. But to put on Christ you do not need to fear and you can defy the powers of darkness. The shoes are for strong wearing, for swift running, for holding and not giving ground, and for readiness. One moves with ease and freedom only with and in God. All other movement is full of uncertainty and awkwardness, for God has formed us to move with Himself. After these things are put on, we pick up the shield which covers the whole body. The shield is our faith. Our protection is our loving trust in God. With that one can quench all that attacks us. Doubts and temptations fall impotent. Next, we put on the helmet of salvation. It is raised aloft that all men may see the salvation of our God. It signifies the whole goodness of God to us. The salvation of our God is a large thing, holding all the goodness of God to us; implying the whole armor of God and His glory and strength. One who wears it can move safely, proudly, gladly in the tumult of life. All of these have been for defense. But now comes the weapon for carrying the battle to the enemy. This is the sword of the Spirit: the voice of God’s Spirit in the hearts of inspired men and it is the spirit of Love. We and our children have been drafted into war, from which there is no discharge. We must be armed if we are to withstand the evil one which comes to everyone. We must be ready at the hour of temptation, the hour when which we are weak and unaware. 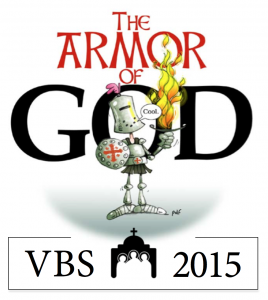 Girded with the armor of God we can stand the test. 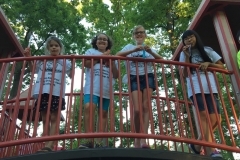 Help get your children battle ready by enrolling them in this year’s Vacation Bible School (VBS), which will be held the evenings (5:30-8:00 p.m.) of June 15-19. 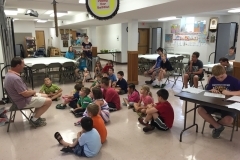 VBS is open to all children in the State College community who will be in Pre-K (one year before entering Kindergarten) through sixth grade next Fall. 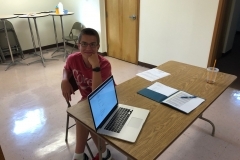 Please visit our parish website to register your children online by June 5.